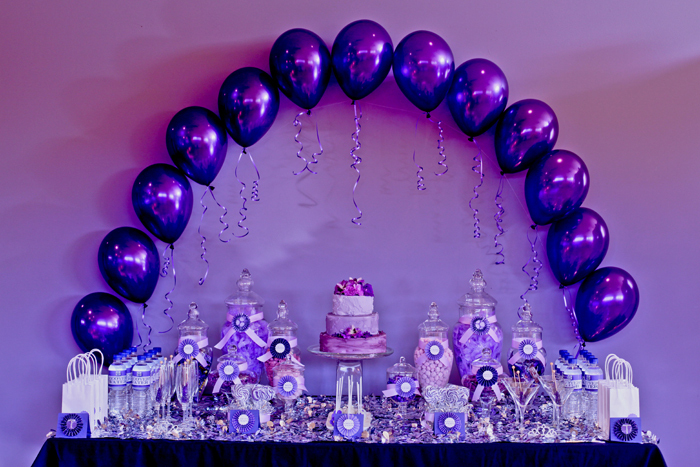 The girls at Velvet Lily Florist styled this gorgeous birthday party for their client Tiarne, who was turning the big 21. The Purple/Lavender colour palette was chosen by the birthday girl, and we opted for a touch of silver for a little extra glamour. 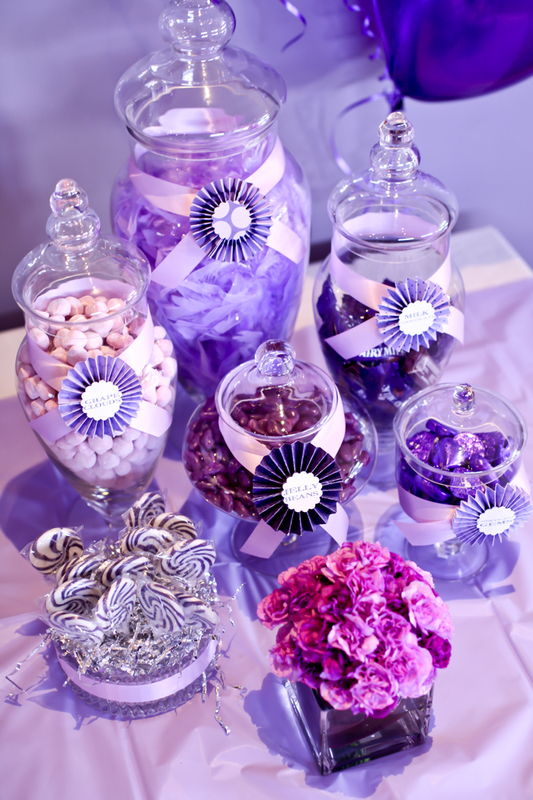 The room was filled with fresh cut flowers, clusters of tissue pompoms and paper lanterns, balloons, candles and the dessert station. 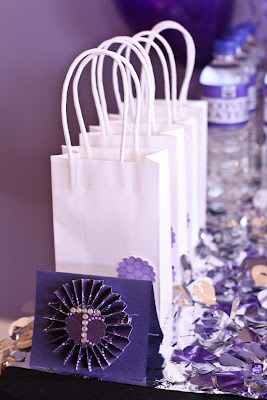 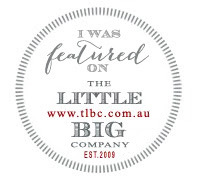 Purple cocktails, lavender champagne and alcohol infused Gummy Bears were enjoyed as well …definitely an adult party! 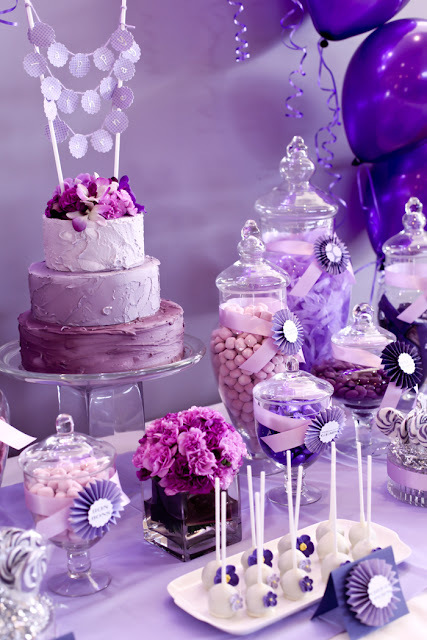 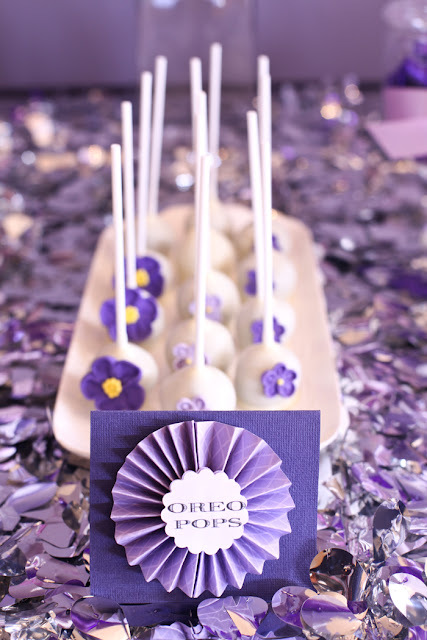 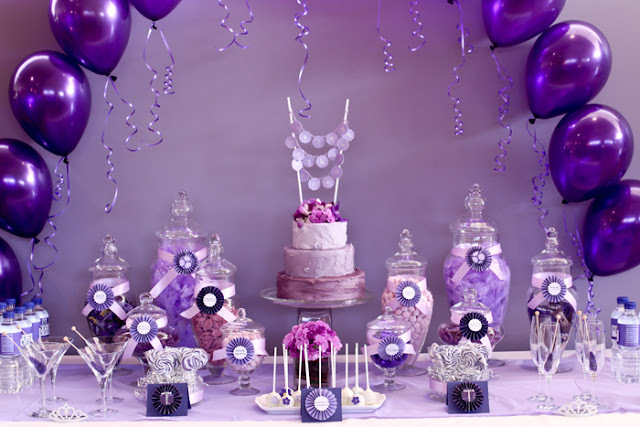 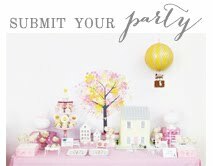 The sweet treats on the dessert station included Oreo Cake Pops, a classic three -tiered chocolate mud cake frosted with fading purpled frosting , Jelly Beans, swirly Lollipops, Swizzle Sticks, Grape Clouds, Milk Chocolates, and Bon Bons. 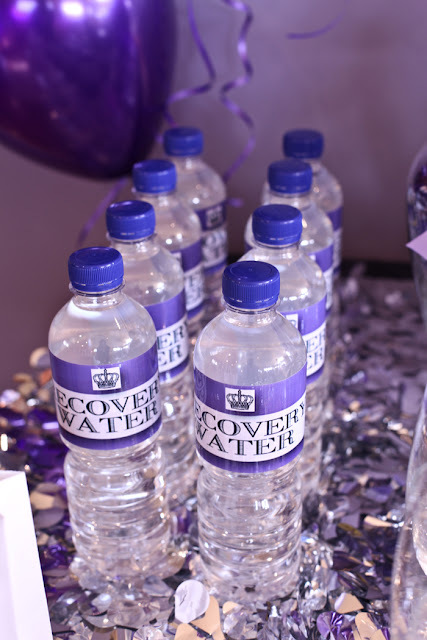 Each of the guests was given a ‘Recovery Water’ bottle which was the topic of conversation for the evening. 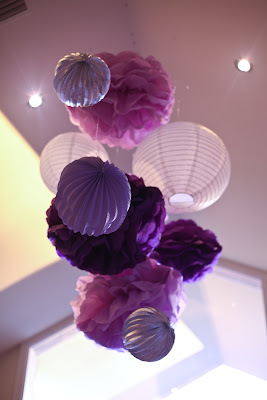 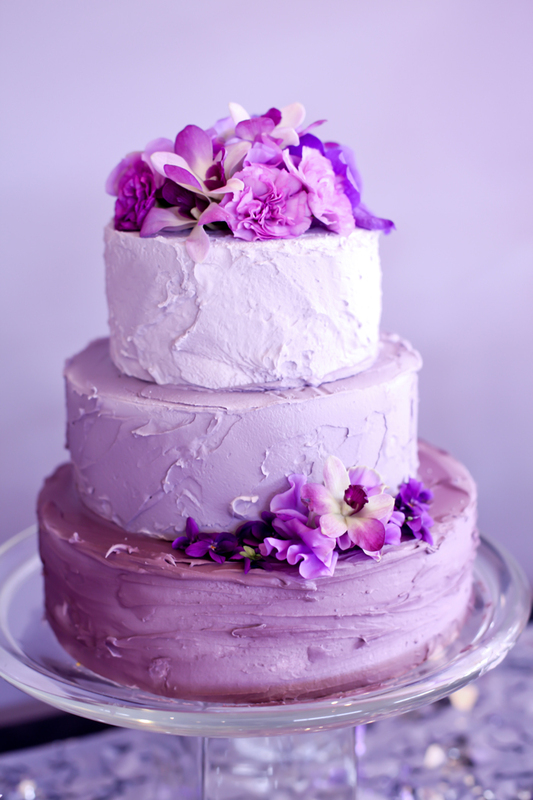 Great decorating ideas for someone planning a purple theme!